It’s a little strange how even though these books each have their unfortunate event they are really enjoyable, each page spent in anticipation of Violets inventions, Klaus’ knowledge and sunny’s Bites. this is the third in the series and although Aunt Josephine is no uncle Monty, you really can see that the orphans could’ve been happy with her, even though her house is a death trap. i want to read it!!!!! Phenomenal, emotional and great plot. A book which should be loved by all, young or old! Oh My Goodness! This is probably my Favourite Book out of all of them. I love how Lemony makes the characters personality and that leads to the problem. Genius! i loved this book it great so read it ! The third of the series. The worst so far, The Baudelaire orphans find that now Uncle Monty is dead, They have to be taken to live with their Aunt Josephine. Aunt Josephine is afraind of living on top of the hill, where she lives and ends up dead in the river with her body in the sea with leaches, deadly leaches. Once that I started reading it, I didn’t stop for two days which is very unlike me and read it in those two days. This was the best book that I have read so far. So go out and buy this book from Scholastic, A great book. 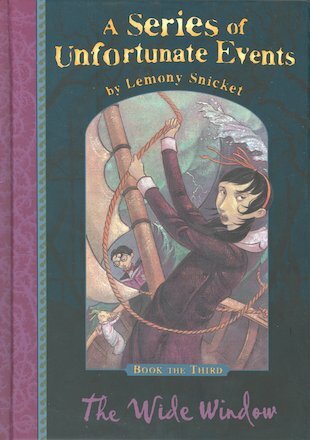 i luv lemony snickets series of unfortunate events! i have just read the 3rd one and I love it!! !